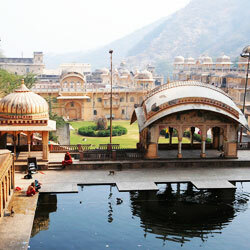 Named after Jai Singh II, the Jaigarh fort is perched on a cliff surrounded by huge battlements with inside walkways. It is one of the few military structures of medieval India preserved almost intact, containing palaces, a granary, a well-planned cannon foundry, several temples, a tall tower and a giant mounted cannon-the Jain Ban (Jaivan) the largest cannon in the world. 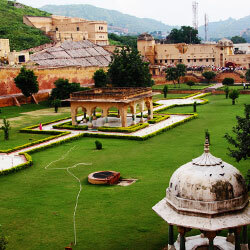 Jaigarh Fort also known as the fort of victory, is a rugged structure built in 1726 by Sawai Jai Singh. 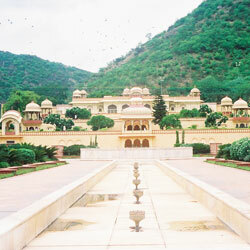 Situated in the north of Jaipur, this fort is structurally similar to the Amber Fort. 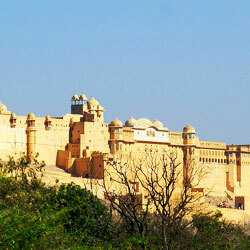 The fort stands above the Amber Palace and was never captured and hence is practically intact. The armoury has a large collection of swords and other weapons. 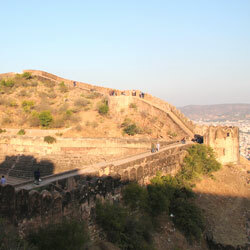 There is a watchtower at an elevated part of the fort, offering a panoramic and imposing view of Amber and the neighbouring area. The central courtyard has three enormous underground water tanks, one used by prisoners for bathing, one that was said to hold the gold and jewels and one, which was empty. There are also gardens, a granary, the 10th century temple of Ram Harihar and the 12th century temple of Kal Bhairav. Jal Mahal : The Jal Mahal on a picturesque palace amidst the Man Sagar Lake is Jaipur's lake palace surrounded with water. It was built for royal duck shooting parties. Built in the mid-18th century by Madho Singh I, the Jal Mahal (Water Palace) looks like a pleasure palace and is noted for its intricate architecture. The first four floors of this building are under water; only the top floor remains outside. Tthe palace is now abandoned, but reasonably well preserved. One can have a wonderful view of the lake and the palace from Nahargarh Fort. 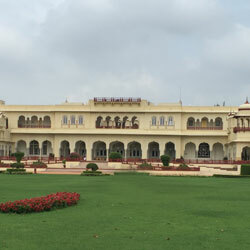 As its name denotes, this is a palace built amidst a lake and intended as the summer resort for the royal family. In the monsoons, it looks particularly startling with its red sandstone set against the water hyacinth filled lake. Much of the palace has subsided under the mud and silt of the lake it used to look over. 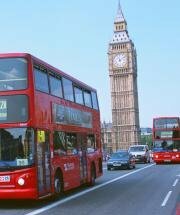 Information for tourists : It was the royal treasury for several years. It was one of the few ancient Indian military structures to be kept intact through the ages. There are dark passageways among the palaces and you can see a collection of coins and puppets. This fort is open to public since a few years only. 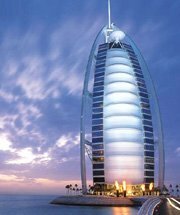 It was sealed for seven years, due to a rumour, that an enormous treasure in gold was buried, in the fort area. The government ransacked the fort, emptied the reservoirs of water but found nothing. Hello! 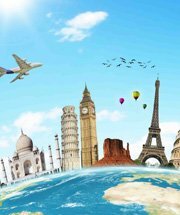 Are you looking for Jaipur ?